Things don’t look too well for Gwyneth Paltrow. A few days after the star claimed that she plans on focusing less on her acting career to be able to spend more time dealing with her business, it seems that her business, Goop, is facing some problems. Allegedly, NASA accused the company of scamming customers with its healing stickers. 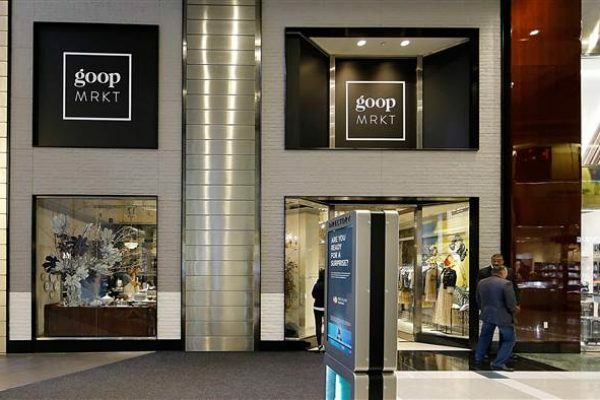 In response to the accusations, Goop decided to withdraw its claims about the wearable stickers, which were promoted on the company’s website. So, the stickers were actually produced by Body Vibes and were promoted on Goop’s website at the cost of $60 for a pack of 10. The claims made in the description of the product were completely dismissed by NASA. A rep said that the agency does “not have any conductive carbon material lining spacesuits.” Goop reacted soon after and removed the post. The company also denied responsibility saying that the company that made the claims was to be inquired for their accuracy. “The opinions expressed by the experts and companies we profile do not necessarily represent the views of [Goop.] Based on the statement from NASA, we’ve gone back to the company to inquire about the claim and removed the claim from our site until we get additional verification,” Goop’s statement said. A statement was also released by Body Vibes, which said that it was all a communications error. “We have learned that our engineer was misinformed by a distributor about the material in question, which was purchased for its unique specifications. We regret not doing our due diligence before including the distributor’s information in the story of our product,” Body Vibes said. It is yet to see if the Goop’s image will be in any way affected by this scandal. Kim Kardashian is surely having a lot of successful businesses. The famous Keeping Up with the Kardashians star is allegedly now working at launching her own cosmetic line. So, without a doubt this means that her younger sister will have some competition on this market. We are talking about Kylie Jenner and her very successful cosmetic line. So, it seems that Kim was inspired by the success of her younger sister and wants to release her own cosmetic line. The new beauty product will be launched on June 21. Kim officially announced the launch of her own beauty line on Instagram on Tuesday. She revealed that the products will be released under the KKW Beauty brand. The star created a website for KKW Beauty, which she shared with her fans. However, the famous Keeping Up with the Kardashians star did not let fans stay in the dark for too long on what the new product will be, so she also shared a video on Instagram explaining her KKW Beauty product. “Hey guys, I’m so excited to announce to you guys that I’m launching KKW Beauty,” the star said in her video. “I really think you guys are gonna love it. I worked so hard on this, and we’re launching first with a contour product. It’s like a collection of cream contours. So get ready to be contoured,” she went on to add. However, that is not all that Kim has been working on. The famous star is said to also release a new fragrance line, so this means that Kim has a lot to share now. And the reality show star is also working at a new television project. In fact, Kim is launching this year Glam Masters, which will be focused on her life and story. Some rumors previously indicated that Kim will be leaving Keeping Up with the Kardashians after no less than ten years and will be focusing on her new show. Allegedly, Kim just wanted to have her own show because she wants to have a big role in it. Famous actress Mila Kunis decided open up about her family and to surprise her parents in a very beautiful way: remodeling the condo they are living in. The surprise home makeover was featured in the latest episode of My Houzz. The famous actress actually worked with both her husband, Ashton Kutcher, and a Los Angeles designer from the Houzz community for the surprise to be perfect. Mila remodeled the whole apartment. The star confessed that her parents have always refused to move out from this apartment, this being the place where they have lived in the past 20 years. Mila revealed that she actually grew up in a small town in Ukraine, and moved into this apartment at the age of 9. The famous actress said that a lot of special moments in her life happened there, in her parents’ home, including graduating from high school or getting her first dog. “Everything, as far as my career, happened there,” she also said. The actress contacted the designer and started doing all the work in the apartment. When this began, the star was 9-months pregnant. Of course, she gave birth and then she had to leave all the work linked to the project in the hands of the designer. But, Mila was very surprised when she saw everything ready, the star being very pleased with what the designer did. And we can definitely say the same thing about her parents, who were very happy with how their renovated condo looked. Mila’s mom was very emotional and she was crying while telling her daughter that she really liked it. Mila’s father was also very happy. “When you hate something there are millions of words to describe it but when you are happy, you are just happy,” he said. Famous actress Julia Roberts is the Most Beautiful Woman of 2017. The fact that Julia was picked as the Most Beautiful Woman in the World by People magazine is no shock. In fact, this is the fifth time when this happens. However, this does not mean that Julia was not surprised to be chosen once again. “I am very flattered,” the star said according to People. In her interview with the famous magazine, Julia has also opened up about her personal life and talked about her marriage and family. The famous actress has been married for no less than 14 years to cinematographer Danny Moder. She has three children and is enjoying a long lasting acting career. And Julia is very optimistic about what is yet to come in her life. “I think I’m currently peaking,” the star said. The actress also talked about the most emblematic moment in her career, of course, the release of the movie Pretty Woman. She said that she actually did not realize at first how much this movie changed her life. “People say, ‘Oh, when Pretty Woman came out it must have really changed your life,’ and it’s kind of become this joke, but the truth is I was out of town when Pretty Woman came out,” the famous actress explained. “I was in another movie in this tiny little town that was showing Star Wars in its first run. I remember reading … ‘Pretty Woman came out this weekend and made this much money’ and I thought, ‘Is that a lot of money? Is that good? Is that great?’ I didn’t really know,” she went on to say. Julia also revealed how happy she is in her marriage and the fact that she is living a fairy-tale. “I mean every day my husband walks in the door it’s like a recurring dream,” she explained. The fact that Brooklyn was getting a tattoo was no secret for his famous father, David Beckham. David actually accompanied his son to Shamrock Social Club tattoo studio in Hollywood. 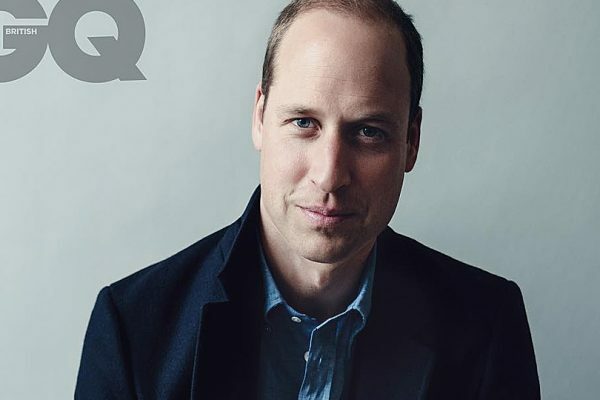 David even took some photos of his son, which were later shared on social media, showing Brooklyn during the inking process. David Beckham got his first tattoo back in 1999, after the birth of Brooklyn. David previously said that he doesn’t regret getting his tattoos and claimed that they all have a meaning and they are all important. “I think that’s what’s important about tattoos, if they have a meaning you’ll never regret them,” the famous soccer player said. So, it appears that David and his wife Victoria Beckham are supportive of their son and his decision to get his first tattoo. However, it seems that not everyone thinks this was a good idea. 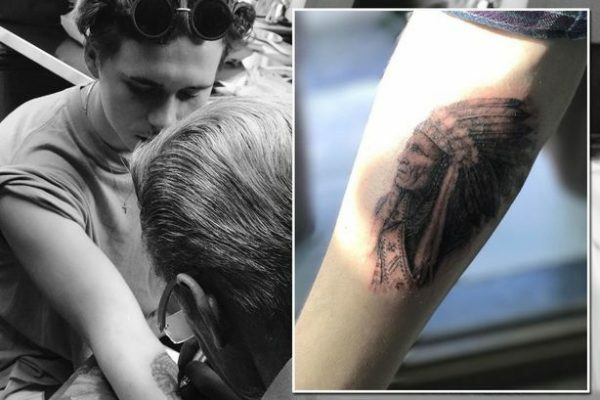 Actually, the photos that Brooklyn shared on social media drew a lot of comments, some followers actually asking why Brooklyn choose to have a Native-American influenced tattoo and criticizing his decision. 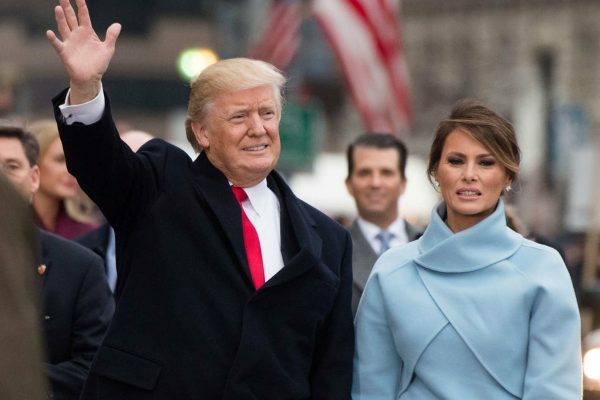 Donald and Melania Trump Dealing with Marriage Troubles? Ever since Donald and Melania Trump came in the public’s scrutiny due to his election as the President of the United States, a series of rumors talked about potential relationship problems for the two. Some rumors claimed that Melania actually feared her husband, while others talked about relationship problems because Melania has not moved into the White House with her husband. Now, a new rumor claimed that Melania and Donald actually don’t get along very well and Melania avoids her husband as much as she can. The claims were made by a source who recently talked to US Weekly about the relationship between the First Lady and the US President. The source, allegedly close to the family, claimed that Melania is unhappy because her husband put her in a life she despises. This is why the two now sleep in separate bedrooms and never spend a night together. “Melania does not keep hidden from everyone around her how miserable she is,” the source said. And the claims were confirmed by another insider who revealed that the two “have separate bedrooms.” “They never spend the night together – ever,” another source claimed. Overall, the source claimed that Melania is actually unhappy with her life now. “Melania wants as little to do with Donald as possible,” the insider claimed “She is not interested in Donald, the presidency or anything involving him,” it went on to add. Of course, Melania has not directly talk about this report, but a rep for her claimed that the whole story in untrue. The representative denied all the claims made in this report. “It’s unfortunate that you are going to feature unnamed ‘sources’ that have provided fictional accounts,” the rep said. Well, the only thing that is certain when it comes to Melania and her program is that the star has been making very few public appearance and has spent most of her time in New York. So, she is actually quite far away from her husband and she avoids the media as much as she can. Well, it is yet to see if Melania plans on increasing the frequency of her public appearance.